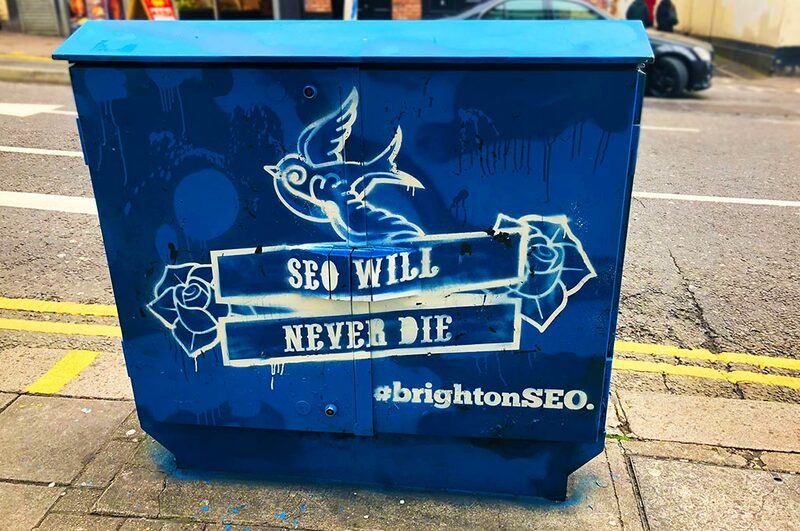 Last week, the Brighton SEO Conference took place and I went along to see what was up. The event was a great way for Search Engine Optimisation (SEO) professionals to meet up, network, and learn more about their craft. Several industry experts were also invited to give talks on specialist subjects. I attended a few of these talks and wanted to share some of the most important and helpful lessons I learned. A wide array of SEO professionals turned out for the event – from small businesses to international corporations – all trying to find new ways to rank higher and optimise their sites. There were opportunities to learn more about accomplishing these objectives all over the place, with many stalls at the conference boasting new ways to improve an SEO’s efficiency. One in particular that caught my eye was SemRush, whose software I use regularly and who were introducing new tools that are currently in the beta stages. But before I could browse all the stands, my first seminar of the day began, which focused on Technical SEO. The first talker I saw was Tom Anthony who talked about the importance of HTTP2 and HTTPS. HTTP matters tend to fall into cybersecurity contexts and, lately, Google’s decision to mark any non-HTTP sites as ‘not secure’. But HTTP and HTTP2 have an impact on a website’s SEO, as well. When a website loads, a user’s computer must send a request to a server to deliver the assets for display. Tom used the analogy of a truck making deliveries between site A and site B. With HTTP sites, there is only one truck available to make their deliveries, so each request must be delivered (loaded) one at a time. In addition, there is zero protection against those wishing to take a look at the information that is being transported to and from your website, meaning sensitive information could be stolen. HTTPS offers the same allegorical ‘road’ as HTTP, but also protection from anyone trying to get a peek at the information. Essentially, HTTPS is if the aforementioned ‘road’ was in a tunnel. This is significantly safer than HTTP, which is great for SEO as Google won’t label the site ‘not secure’, but still operates with the same ‘truck’ and ‘road’. Websites using HTTPS will still run into problems, however. This will be particularly true when trying to load a page that requires many different requests – something that is common now that modern websites are more complicated, with an increasing number of assets per page. Also, take into consideration that mobile web pages – an increasingly popular way to view websites – could be even slower due to increased latency. The solution to this, Tom told us, is HTTP2. This allows multiplexing, which offers many requests per connection (i.e. several trucks can use the same road at the same time). HTTP2 also allows for Server Push, where a single request will return with multiple responses if the server knows the HTML requires other assets. Tom’s final point was that, if a company website intends to implement HTTP2, they must have HTTPS first. For sites that still haven’t moved to HTTP2, Tom recommends that sites optimise their site before making the change. This way, Google will crawl the site when the change happens and register the optimised changes all at once, increasing the site’s SEO immediately. The next talk I attended was by Greg Gifford, who describes himself as ‘totally jazzed about local SEO’. His talk focused on link building, a crucial SEO factor that can be the difference between operating a popular website and fading into the background. Link building is the process of finding third-party sites to include a link back to your website. Finding websites that are willing to do this can be tricky – the expected route is to find a website with a high domain authority. But these websites are usually inundated with backlink requests and it can be difficult to stand out. Greg claims that it is actually more beneficial to reach out to smaller, local business and ask them to include a backlink to your site. Getting featured on sites that focus on the community will still increase your SEO and Greg claims that in the time and effort spent on getting a backlink on a high domain authority website, a company could have 10 backlinks on smaller, local sites. As well as being very difficult for competitors to reverse engineer, enough of these backlinks will do wonders for a websites SEO. They’re much easier to obtain than high-authority backlinks because you can take advantage of your real-world relationships. Try reaching out to the community for local backlinks – local links have value in numbers. When sending an outreach email, focus that email on your relationship and how you can help to add value to the business in question before mentioning a link to your site. Repeat this process with as many local community services or businesses and you’ll see your company SEO thrive. Journalist Requests – a fact not commonly known is that journalists use social media to make requests for sources of information. If you make a search on social media for ‘journalist requests’ you can find people in the media looking for content to support their stories. By finding a topic that is relevant to your brand, you can present yourself to the journalist as an authority in the field and recommend some of your blogs, for example. Every industry has its own news feeds, and your content can be used as a reference for a story. Newsjacking – trending topics are temporarily popular talking points that are being widely talked about. Newsjacking is when you find trending topics that relate to you and try to get featured in an article on the subject. The example Laura gave was the Royal Engagement announcement. If a jewellery brand is looking for backlinks, they can take this as an opportunity: no one had a close-up picture of the ring Meghan Markle was wearing, but a jeweller could offer a picture of a ring that they sell that is very similar or the same as the ring Meghan had on her finger. This has value for a reporter telling the story and may feature the image of the ring, along with a credit and backlink for the jeweller. Look for news stories that might be relevant to your field and see if you can use them to your advantage. Interviews/Opinions – additionally, brands can find stories that require experts in their field for interviews or opinions. For this to work, businesses must establish their USP both for their brand and the people representing the brand. Your brand and high-level staff should be presented as experts whose opinion can increase the credibility of a story. A good way to prove your expertise is to write a regular blog about market insights and give your analysis of recent industry news. Incidentally, the presence of this blog will also help your SEO. Sometimes high-influence backlinks can take hours to implement and it doesn’t always pan out. However, when it does work, it can make a huge difference to SEO and can make all the work more than worth it. Those are the key points I came away with from the Brighton SEO conference. With modern technologies and cultural attitudes constantly in flux, SEO is constantly changing. The methods we have talked about today might be out of date this time next year, so don’t delay getting started. Were you at the seminar and attended a different talk? Are there any other SEO tips that you think we should hear? Let us know on our Facebook and Twitter pages!